Do you live in Scottsdale, Arizona? If so, you are in the right place! Welcome to the premier Scottsdale dentist office of Dr. Nafys Samandari. We are pleased to welcome you to our dental practice. We want the best for you, and we believe that Dr. Samandari is the perfect dentist to best fit your needs. From porcelain veneers and metal-free fillings to teeth whitening and dental implants, we believe that we will be your one stop destination for state-of-the-art dentistry. We can assure you that Dr. Samandari cares the most about your teeth. He will ensure that you benefit from all of the services that our office offers. We love your teeth and we want you to be perfectly satisfied with your dental experience. That’s why we sit down with you and schedule a plan for improvement which you are comfortable with and that which will satisfy you. We offer you the latest dental technology as well as comfortable amenities in both our lounge area and in the dental chair. Our Scottsdale dentist office is capable of performing all types of dental procedures including: cleanings, root canals, Invisalign orthodontics, smile design, teeth whitening, crowns and implant surgery. We stay abreast on using the latest trending techniques and technology to provide compassionate and caring dentistry in a soothing environment. We also have a dedicated team of trained professionals who will give you the individualized attention that each client deserves. Our promise to our patients is to inform them as informed as possible as decision makers so that you fully understand any dental issues you are facing. When you need answers, you need a dentist who listens and responds, an experienced dentist who knows the field and can treat you with compassion and the best technology to render excellent services. Our practice meets this criteria. Our website offers many resources to inform you about dentistry including what to expect for various treatments we offer. We’d like you to review this information to help you further understand your concerns. We also invite you to call our office or send an email at any time to request an appointment or ask questions. We pride ourselves on our technological ability to offer exact diagnostics. Through our courteous staff, our high-end amenities and diverse array of procedures and treatment options, we always put you - the client - first. 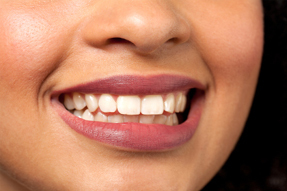 For a beautiful white smile, we believe that you will look no further than Dr. Samandari as your Scottsdale dentist .